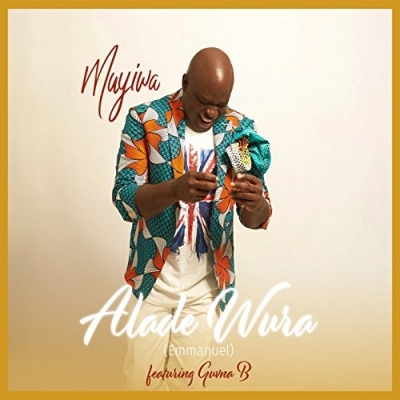 British Singer/Songwriter Muyiwa has released his new single 'Alade Wura (Emmanuel)' featuring popular British rapper and grime artist Guvna B. Britain meets Africa and holds hands in 'Alade Wura' as Muyiwa maintains his passion to share the African voice and stay true to who he is. "Those who know me know that Hip Hop was my thing and that I was a massive garage head", explains Muyiwa. "So for me, this new song is me reaching back to what I love. Guvna B is a good friend of mine and one of my personal favourite artists. We'd never spoken about a collaboration until now. 'Aladewura' is a celebration, a coming out loud saying I love Jesus, He is on my side. We are not the minority we are the majority." 'Alade Wura' is a song of reassurance, that in spite of what it looks like God is on our side. With the many calamities taking place in Africa and the recent upsurge of violence on the streets of London leaving many people questioning what is going on in the world around us, Muyiwa is encouraging people to remember that God is on their side. Muyiwa Olarewaju mixes elements of world music (from Africa, the Caribbean and Asia) with soul, R&B and pop, helping to popularise this form of music and bring it to a wider audience. He is also an experienced performer, broadcaster and presenter. In 2009 he became the first-ever international act to perform on America’s popular entertainment channel, BET, for the prestigious annual Celebration Of Gospel show. He is presenter of the Turning Point programme to an estimated global audience of 70 million and Sounds of Africa plus Jewels of Africa on Airlines like Lufthansa, Kenyan and more. With his group Riversongz he sold out Indigo2 at the O2 in London, and Evetim Apollo with 5000 people the first UK gospel act to do so, and he has played at the largest gospel music event in the world, The Experience, attracting a 500,000 strong audience. Muyiwa and Riversongz, no strangers to awards either having won the Gospel Music Award for Best International Group, the Star award in the US and Best UK Act at the inaugural Oraclez World Gospel Festival & Awards in 2009, have released 7 albums that feature Muyiwa’s distinctive rich, deep singing voice and unique 'spoken word' monologues/raps. "I’d like to be seen as the guy who, through music, shared the idea that there’s always hope, whoever and wherever you are", says Muyiwa. "It's not about agreeing with my religion. If you just lost your job, there’s hope. If you’ve got HIV, there’s hope. If your child has lost his way, there’s hope. That’s what I sell."